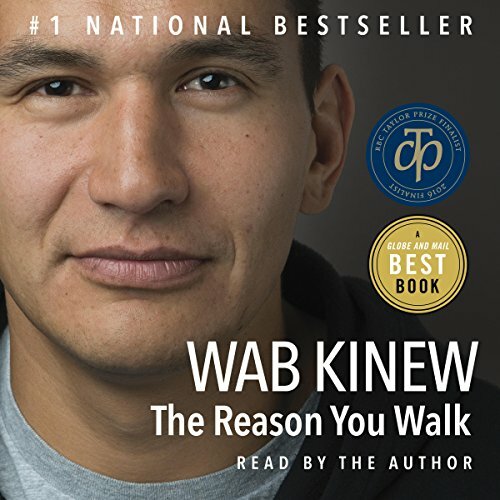 Showing results by author "Wab Kinew"
When his father was given a diagnosis of terminal cancer, Winnipeg broadcaster and musician Wab Kinew decided to spend a year reconnecting with the accomplished but distant aboriginal man who'd raised him. The Reason You Walk spans the year 2012, chronicling painful moments in the past and celebrating renewed hopes and dreams for the future. As Kinew revisits his own childhood in Winnipeg and on a reserve in Northern Ontario, he learns more about his father's traumatic childhood at residential school.